Madeline falls in love with Samuel when she accidentally time travels hundreds of years into the past to a war between the colonists and Native Americans. Their relationship is forbidden. But Madeline's travels to the past not only to fall in love, but also to claim her birth right as a Messenger, a soul who can slip through time's fabric, delivering messages that change one life, or save many. Deadly Hunters, dark-souled time travelers, crave her powers and seek to seduce or kill her. Can Madeline find her way back to the future in time to save herself and Samuel? 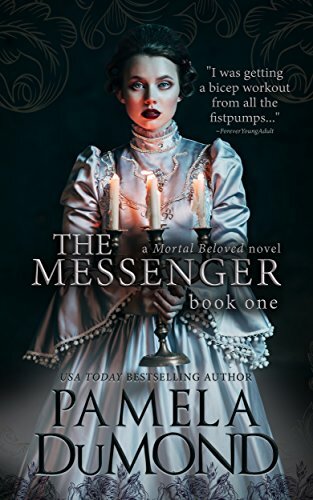 THE MESSENGER is also available in print and Audio. THE ASSASSIN #2, THE SEEKER #3, and THE BELIEVER are on shelves now. One click this magical book!